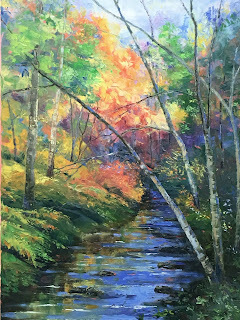 Asheville Gallery of Art’s September show features the work of Judy Rentner, whose brilliantly colored landscapes usher in the fall season. The show runs September 1-30 during gallery hours, 11 a.m.-6 p.m. Monday through Saturday and 1-4 p.m. Sunday. 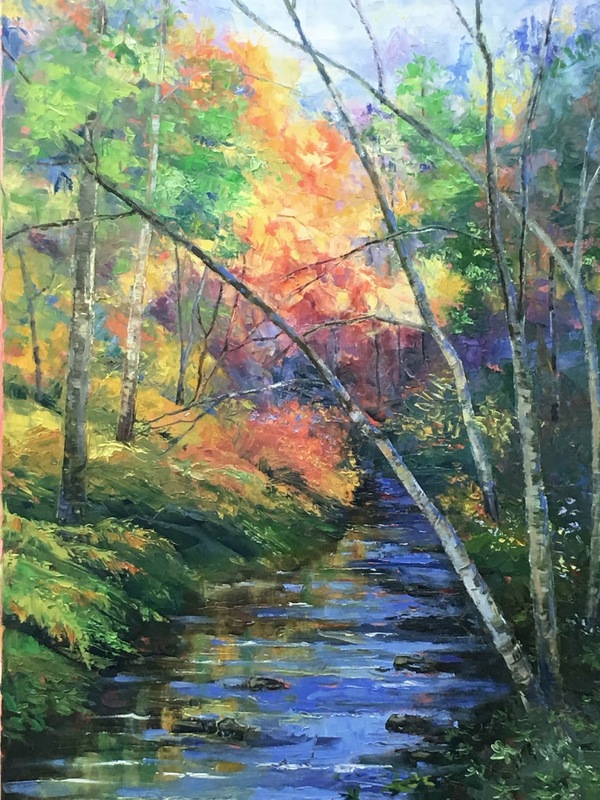 The gallery, located at 82 Patton Avenue in Asheville, across from Pritchard Park, will host a reception for the artist on Friday, September 1, from 5-8 p.m. Everyone is cordially invited to stop by. After receiving her art degree, Rentner taught in the California public school system. 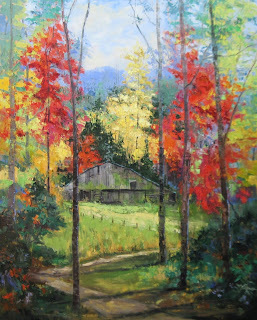 She has taken many workshops in various media to learn techniques, composition, and color theory. After moving to North Carolina, she taught classes in watercolor, acrylics, and oils. Rentner’s work, as well as the paintings of the other 30 gallery members will be on display and for sale through the month of September. For further information about this show, you can contact Asheville Gallery of Art at (828) 251-5796, visit the gallery website at www.ashevillegallery-of-art.com, or go to the gallery Facebook page.